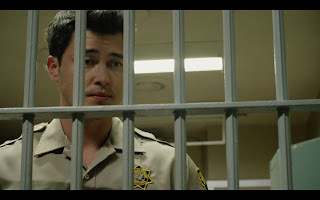 Are you all caught up with season 2 of the Daytime Emmy-winning digital drama series THE BAY on Amazon? If not, Digest will be highlighting all 14 episodes of THE BAY Season 2 released on Amazon Prime, including several never before seen episodes. Here’s what you need to know about episode 14: A New Beginning. 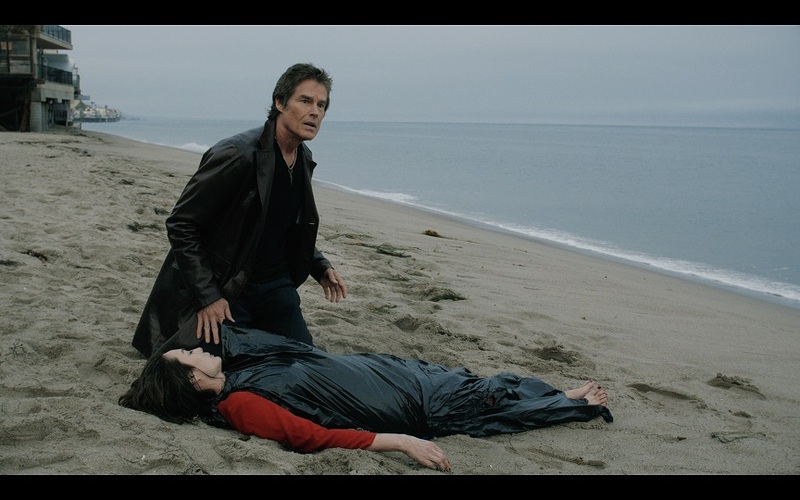 Are you all caught up with season 2 of the Daytime Emmy-winning digital drama series THE BAY on Amazon? If not, Digest will be highlighting all 14 episodes of THE BAY Season 2 released on Amazon Prime, including several never before seen episodes. Here’s what you need to know about episode 13: Love and War. Are you all caught up with season 2 of the Daytime Emmy-winning digital drama series THE BAY on Amazon? If not, Digest will be highlighting all 14 episodes of THE BAY Season 2 released on Amazon Prime, including several never before seen episodes. Here’s what you need to know about episode 12: Jack’s Road to Redemption: Part II. Are you all caught up with season 2 of the Daytime Emmy-winning digital drama series THE BAY on Amazon? If not, Digest will be highlighting all 14 episodes of THE BAY Season 2 released on Amazon Prime, including several never before seen episodes. Here’s what you need to know about episode 11: Jack’s Road to Redemption: Part I. Are you all caught up with season 2 of the Daytime Emmy-winning digital drama series THE BAY on Amazon? If not, Digest will be highlighting all 14 episodes of THE BAY Season 2 released on Amazon Prime, including several never before seen episodes. Here’s what you need to know about episode 10: Disclosures. Are you all caught up with season 2 of the Daytime Emmy-winning digital drama series THE BAY on Amazon? If not, Digest will be highlighting all 14 episodes of THE BAY Season 2 released on Amazon Prime, including several never before seen episodes. Here’s what you need to know about episode 9: The Aftermath, which marks the first episode where Wendy Riche joins the team as executive producer/executive story editor. The cast of the online web series, “The Bay” join Home & Family to talk about what it is like to collaborate with one another on the show. 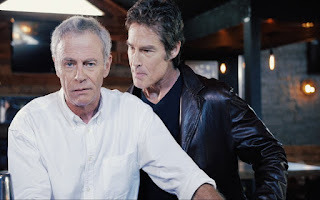 Ron Moss, Mary Beth Evans, Matthew Ashford, Tristan Rogers and Jacklyn Zeman also open up about their iconic roles from their network soap operas, as well. Read the entire HALLMARK CHANNEL article HERE. Four stars from popular digital soap The Bay appear on today's episode of Hallmark Channel's Home & Family. 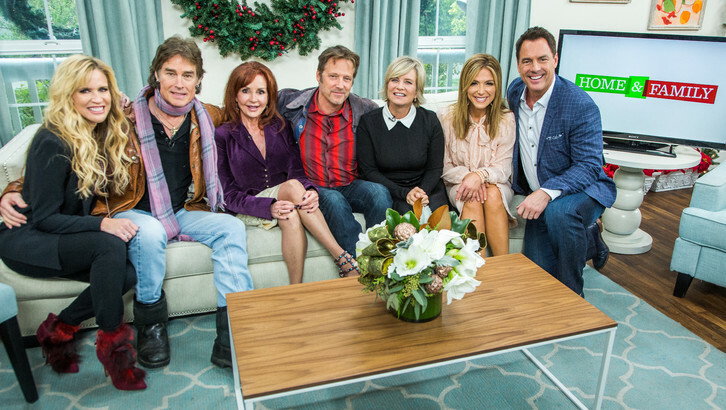 Mary Beth Evans (Sara), Matt Ashford (Steve), Jackie Zeman (Sofia) and Ronn Moss (John) sat down with co-hosts Mark Steines, Debbie Matenopolous and Paige Hemmis. The stars of Emmy and Indie Series Award winning The Bay visit Hallmark Channel's Home & Family on Tuesday at 10 a.m. ET/PT. Daytime favorites Mary Beth Evans, Ronn Moss, Matt Ashford, Jacklyn Zeman and Tristan Rogers appears to talk about their hit web series and careers. The men participate in a "gift ideas for the hard to buy for guy" segment with Kym Douglas, while Orly Shani show the ladies how to make a DIY Rhinestone Clutch. 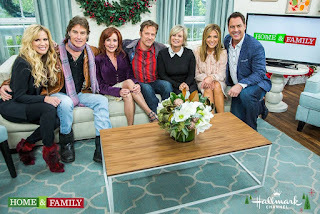 Cast members from the digital drama series, THE BAY — (from l.) Ronn Moss (John), Jacklyn Zeman (Sofia), Mary Beth Evans (Sara) and Matthew Ashford (Steve) — will appear on HOME & FAMILY on the Hallmark Channel on December 22 with correspondent Paige Hemmis (far l.), and co-hosts Debbie Matenopoulos and Mark Steines. Read the SOAP OPERA DIGEST article HERE. Are you all caught up with season 2 of the Daytime Emmy-winning digital drama series THE BAY on Amazon? 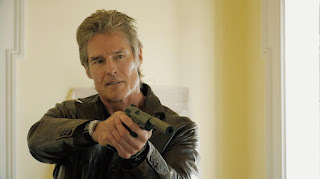 If not, Digest will be highlighting all 14 episodes of THE BAY Season 2 released on Amazon Prime, including several never before seen episodes. Here’s what you need to know about episode 6: Cost of Love. Are you all caught up with season 2 of the Daytime Emmy-winning digital drama series THE BAY on Amazon? If not, for the next two weeks, Digest will be highlighting all 14 episodes of THE BAY Season 2 released on Amazon Prime, including several never before seen episodes. Here’s what you need to know about episode 3: Wash Away the Pain. Read the entire SOAP OPERA DIGEST articled HERE. Are you all caught up with season 2 of the Daytime Emmy-winning digital drama series THE BAY on Amazon? If not, for the next two weeks, Digest will be highlighting all 14 episodes of THE BAY Season 2 released on Amazon Prime, including several never before seen episodes. Tran's hard work isn't only confined to the gym. The actress, who can currently be seen on the Emmy-winning webseries "The Bay," has stayed super busy ever since starting in the industry. Read the entire FOX NEWS MAGAZINE article and watch THE BAY Season 2 Teaser HERE.